Discovering the world is an experience no one should miss out on in their lifetime. Every destination has its own charm, and every stop has its own story, but your own two feet can only get yours so far in this immense and immersive world. This dream of discovery and freedom has inspired Chevy and Chevy dealerships like Carl Black in Nashville for over a century to innovate the most versatile selection of vehicles for the everyday person. So let’s get this journey started together at a Chevy dealer near you. As the local Chevy dealership near you, you will find Chevy vehicles of every style, price, and performance. 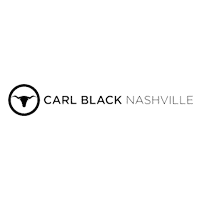 From classic and used to modernize and brand new we at Carl Black in Nashville have you something that is just the ideal fit for you. Here are just some examples of our more impressive options. 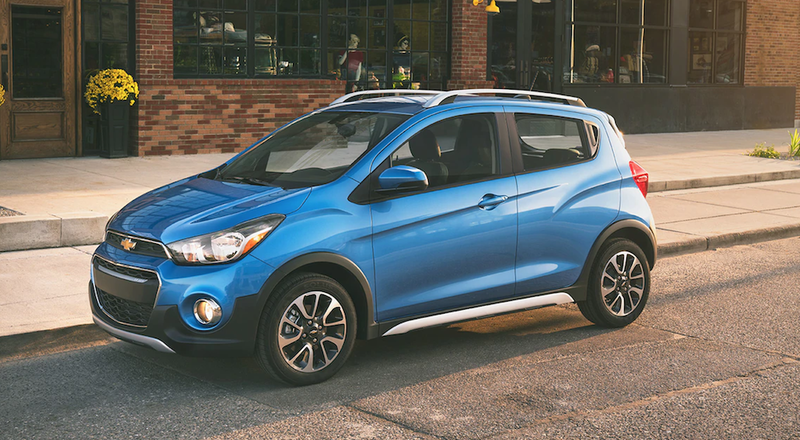 The smallest and most affordable vehicle on the current Chevy dealership lot, the Chevy Spark measures at 143″ L x 63″ W x 58-59″ H and weighs only 2,313 pounds. The fuel economy is also a bonus with an impressive 38 mpg highway that will serve the environment just as well as it does your wallet. Its 1.4L 4-Cylinder engine contains 98 hp, but the compact convenience will be worth the decrease in overall power. The Chevy Cruze is your classic sedan or hatchback that makes everyday life just that much better. The price is easily affordable, the size is sufficient, the technology is immersive, and the power is on par with any other in its class with over 150hp. It’s simple in the most advanced way possible. The Chevy Equinox is one of the best SUVs on the market, and when it comes to versatility, nothing can quite compare. With three fantastic engine options and over 250 hp, this SUV can tow up to 3,500 pounds. The interior space is also nothing too shabby as well with a max of 63.5 ft³ of cargo space for all your daily adventures. This is an SUV that fits in perfectly with everyday life at work, school, or the great outdoors and it will look refined and bold while doing it. Three rows of seating, mixed with 121.7 ft³ of cargo space, a dash of 420 hp, and a splash 6,300 pounds of towing capacity, and a sprinkle of the longest living namesake in automotive history will equal the big, bold, and beautiful Chevy Suburban. Measuring 224″ L x 81″ W x 74″ H you will find the Chevy Suburban to be one of the largest SUVs on the market, and the utility of that size is just outstanding. Not only is it big and powerful, but it also has been updating with some of the most advanced technology to deliver comfort, convenience, and entertainment at all times. If you truly do what to discover the world, this would be the ideal vehicle to do it in. Finally getting to the famous Chevy Silverado which is known for being one of the only true competitors of the Ford F series for the title of top pickup trucks in the nation and even the world. You can get the Chevy Silverado as either a light-duty truck with the Chevy Silverado 1500 series or a heavy-duty truck with the Silverado HD 2500 or 3500. The three options have towing capacities of 12,500 pounds, 18,100 pounds, and 23,300 pounds respectively when equipped correctly. With plenty of configurations and V6 or V8 engines to choose from, the Chevy Silverado keeps the power in your hands. As a Chevy dealership near you, we know we have to offer the best in order to make our community shine. Yes, we offer some of the best and most versatile selection of vehicles, but we also wish to offer much more than that. Knowledge and passion for the craft that is automotive advancement are at the heart of our Chevy dealership. Our staff is always well-informed about our selection of Chevy vehicle, and whatever questions you may ask the answer can always be found quickly. We have the resources to make sure every choice you make is the right one. Most car dealerships are seen as shady or greedy, and we want to take that stigma and throw it out the window in the middle of the highway. Transparency from our staff about our selection of vehicles is something you can always count on at Carl Black near you. We never fear questions, and we are happy to give you a straightforward answer because games are for arcades and casinos, not dealerships. You are busy, we are busy, so why not make this process as quick and easy as possible? If you are the type that likes to take their time and shop around that’s perfectly ok, but for those that don’t have the free time to spare we have all the services and resources to make the car buying process as convenient as possible. Our website is always up to date with our vehicle selection, and you will even be able to chat or text with us directly if any questions arise without even going to the dealership. Whatever you personally need we are here to make it happen with little to no hassle on your end. The greatest thing you as a driver can offer a Chevy dealership near you surprisingly not your money. What you have to offer us is actually a lot less tangible than that, but they are worth a whole lot more. No one gets anywhere in life without a little perspective; this is why we carefully consider and genuinely appreciate every bit of personal feedback you are willing to give us. Whether you love us or hate us, we want to hear it and grow from it. Nothing makes us feel better than seeing a satisfied customer leave with a smile. Our Chevy dealership thrives off of mutual satisfaction and will do anything to achieve that goal. Loyalty to us is worth more than any dollar you could ever give. A loyal customer is someone that will gain our ultimate respect and consideration every time they connect with us in any way. No matter what your automotive needs are, we always hope you choose us as your first choice of dealership. Any car dealership can promise you the world, but not many will be able to deliver on what they assure you they can. Carl Black in Nashville is the Chevy dealership near you that you can trust to be as passionate and forthright as the versatile vehicles we provide our community with every day. We can’t promise to give you the world, but what we can and will promise is an opportunity to discover it yourself with a reliable means of transportation that will fit your exact needs. North, South, East, and West, with a Chevy vehicle the only true limitation is yourself.